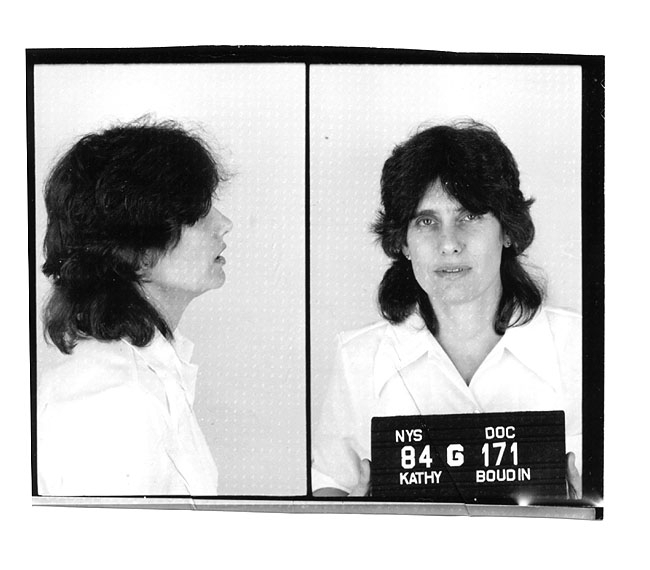 Kathy Boudin, a former member of the radical Weather Underground, is pictured in this New York State Department of Correctional Services mug shot. Boudin, part of the gang that robbed a Brink's truck of $1.6 million in 1981, received 20 years to life after being found guilty of robbery and murder (a Brink's guard and two cops were killed in a shootout). Boudin was released on parole in September 2003. Submitted by Amren on Mon, 2011-01-24 14:31.